81 years, 2 months, 18 days old age. N. Vittal will turn 82 on 31 January, 2020. Only 9 months, 12 days, 4 hours, 6 minutes has left for his next birthday. N. Vittal has celebrated the total number of 81 birthdays till date. See the analysis by days count and bar graph. N. Vittal was born on 31-01-1938 in Thiruvananthapuram in the state of Kerala, India. He is an Indian IAS Officer, Writer, Chairperson, Author & Civil Servant. During his career, he worked on many senior posts in Government Service most importantly being a Central Vigilance Commissioner. He was honored Padma Bhushan for his excellent work in the year 2012. The dignitary has received many other reputed awards for his work in his lifetime. Besides being a high-ranking official he is an active Socialist and has enrolled himself with various Social and Cultural Associations. His interests reside in reading, writing, and South Indian classical music. He has various books and publications to his credit including articles and journals on management, public relations, human resources development. 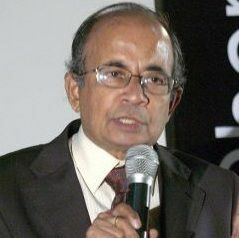 Some of his books are India Incorporated: Reflections on the Indian Electronics Industry (1994), The Vicious Cycle of Vittal's Law (1994) and Roots of effective governance (2007).